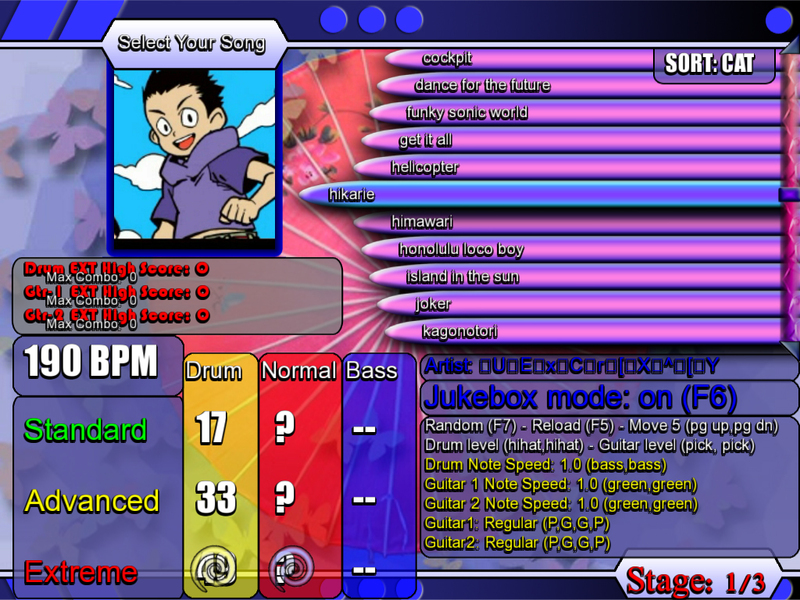 Check out these really cool screen shots of DigiBand in action! 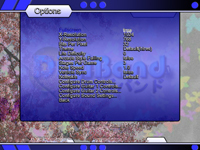 DigiBand has fully configurable controls, screen resolutions, window or fullscreen mode options. 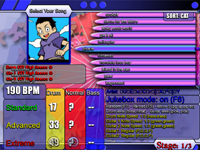 Configure Digiband exactly the way you want it to be. 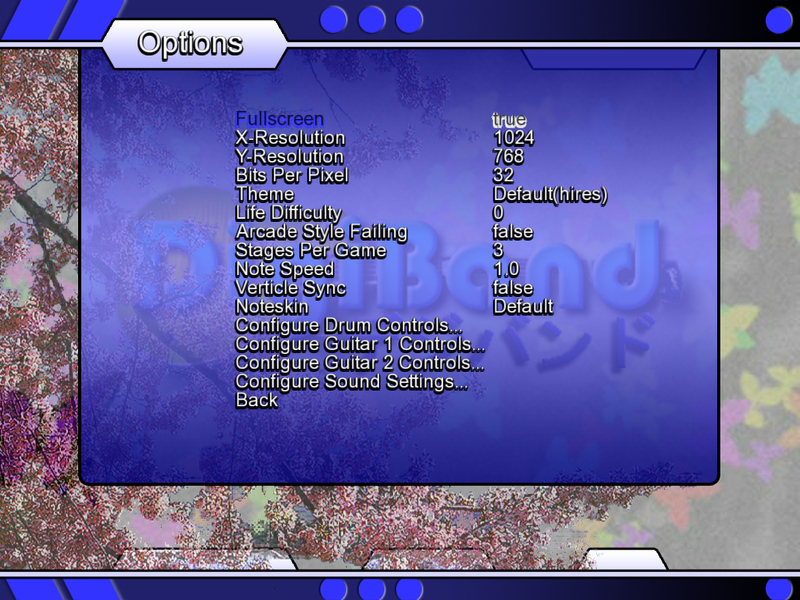 DigiBand also supports fine tune adjustments to Note Speed, Life Difficulty, Screen Resolution (For complete video card support), and Number of Stages. 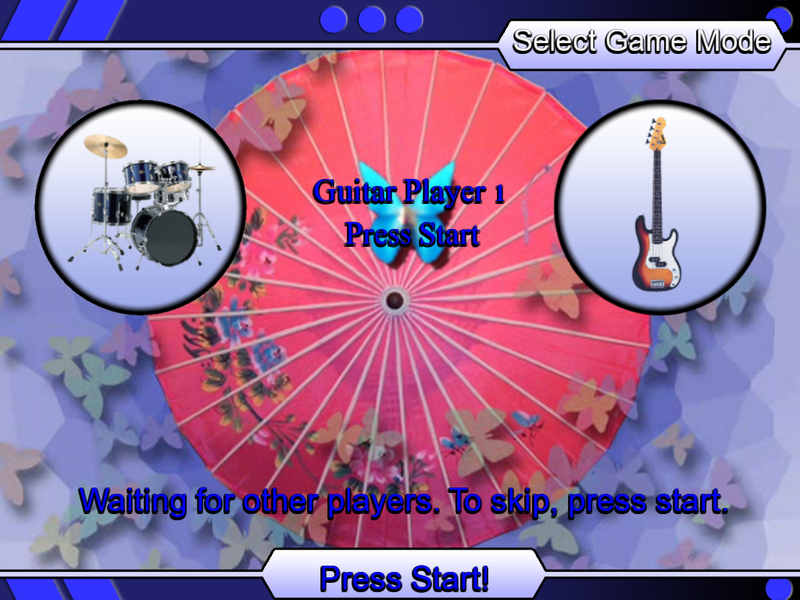 Play alone, or with a full band! Play up to 3 players simutaneously. 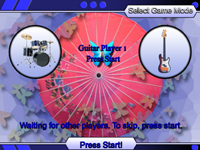 Digiband supports a drum mode and 2 guitar modes. Digiband also supports all joysticks (up to 10 with 30 buttons each). Don't forget, midi devices too! 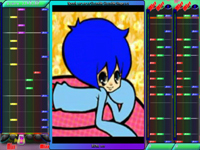 Select songs in a "DDR" style interface! No more worrying about dtx or gda file formats, DigiBand supports them both! Configurable via .ini file, DigiBand will favor GDA or DTX files for all songs. Select songs based on categories Instead a mess of files. Classic "Codes" from the GF/DM series are usable. 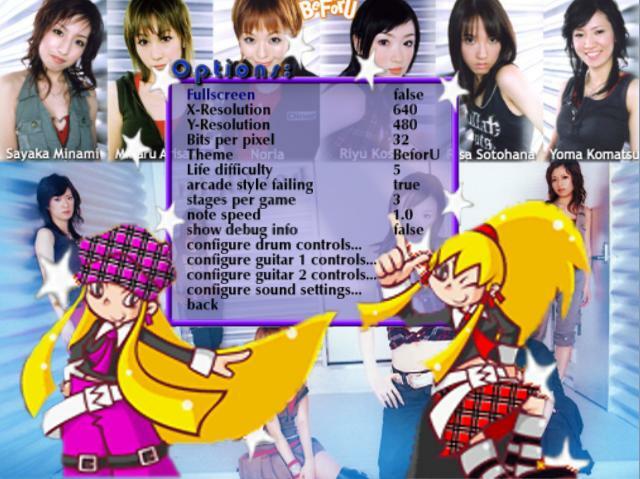 Supports multiple difficulties for each Player. Autodetects broken file formats in some cases. 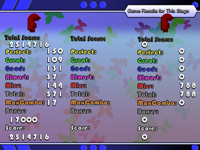 Game Play screen Autodetects Wide screen modes and proportionately places all content on the screen. Support for Themes via Theme directories, instead of over writting your default skin files. Independant scoring, grading, life for each player. DigiBand Uses it's own grading scale for Uniqueness! This also makes the grading more Fair and balances the score amongst all types of players. 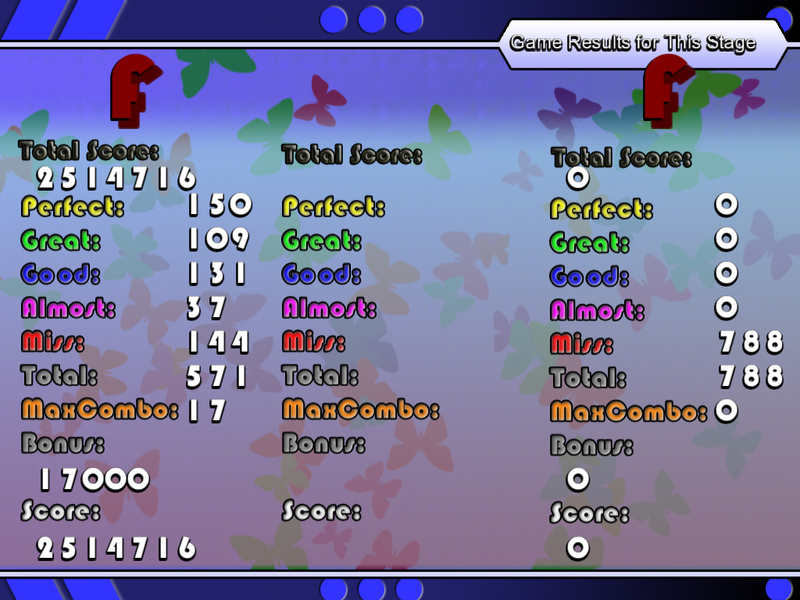 DigiBand also supports it's own bonus scale, and displays your total score as you move along in stages. With a wide array of themes coming soon!